Rick had a chat with Chef LaLa this morning! She gave us the dirty details on the do’s and dont’s of breakfast foods; stay away from overprocessed foods (packaged foods) and so much more! 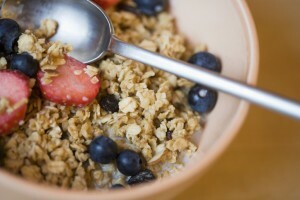 We also learned that you should wake up and eat your breakfast, especially if you want to lose weight and stay healthy! Having the right foods in your body stimulates your metabolism to burn off the extra pounds of fat!